Accell Group NV plans to separate its North American e-bike business into a standalone business that will be headed by Larry Pizzi, who will leave his current position at the company’s North American bicycle unit to head the new entity. Reporting directly to Accell Group in The Netherlands, Pizzi, who is Vice President of the Bicycle Products Suppliers Association (BPSA) and chairman of their E-bike Committee, will bring his more than 14 years of experience and leadership in the electric bike category to the new organization. Also transitioning from Accell North America is Rob Kaplan, who will lead commercial activities, and Curt Davis, who will lead product research, development and engineering. Raleigh Electric will be headquartered at the company’s existing Electric Bike Competence Center (EBCC) facility in Simi Valley, CA. 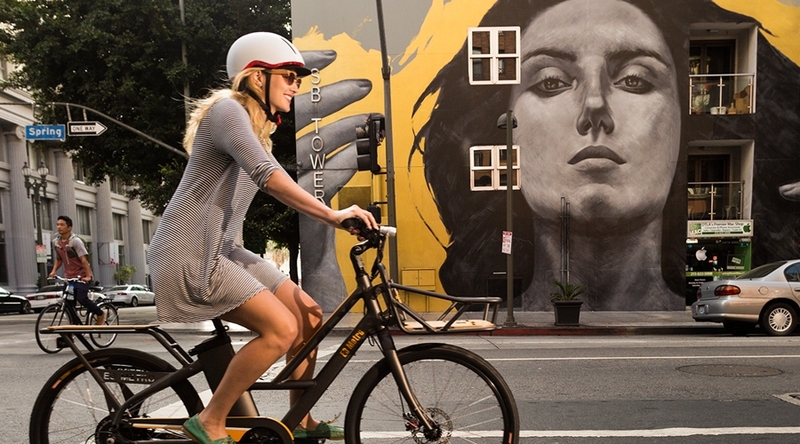 Haibike, the worldwide leader in ePerformance electric bicycles, will continue in North America with its existing USA sales force under the commercial direction of Haibike in Germany. E-bikes sales essentially doubled in the last year, and Accell believes it has garnered the largest overall share of those sales with its Raleigh, Izip and Haibike brands. “We are benefitting in Europe from our leading position in the field of electric bikes, which currently account for some 43 percent of our total turnover, and we have confidence that we can replicate that success through this strategic emphasis on e-bikes in the U.S.,” said Accell Group Chairman René Takens. Accell introduced Raleigh electric bicycles in 2014, as an extension of their 130 year old, Raleigh bicycle brand. “The response to Raleigh Electric has been tremendous and it is now one of the fastest growing brands of e-bikes in the U.S. market. Alongside of our original California e-bike brand Izip, which has become well recognized as one of the most fashionable and innovative brands on the market, we have confidence that we are well positioned to provide best-in-class selection, service and support as the market continues to grow in North America,” said Larry Pizzi, who will leave his current position at Accell North America to serve as President of the newly formed entity. Accell North America, with its brands Diamondback, Raleigh, Redline and Izip, is committed to leading cycling innovation with product, brand and specialty business practices to grow access to bicycling. Accell North America is the North American business entity of Accell Group NV, Europe’s leading bicycle company. Photo by Tim Davis courtesy Patagonia.